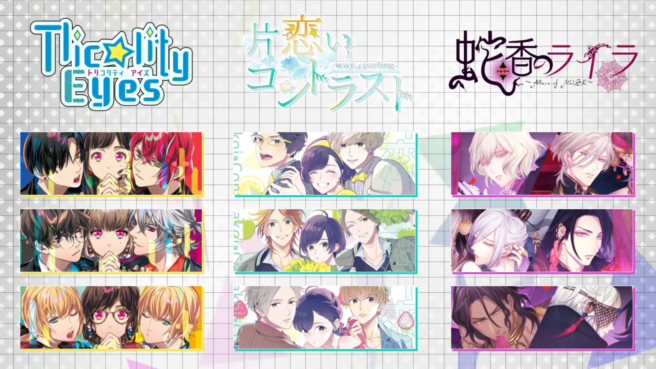 Otome visual novels are a thriving genre on Nintendo Switch, and Idea Factory is bringing three more titles from the genre to the system. The three games are part of Idea Factory’s “Triangle Project” – originally released on PC, they are now coming to Switch in Japan: Tlicolity Eyes: Twinkle Snowtime will be released on July 18. Katakoi Contrast: Collection of Branch will be released on August 22. Finally, Jakou no Lyla: Trap of Musk will be available on September 19.